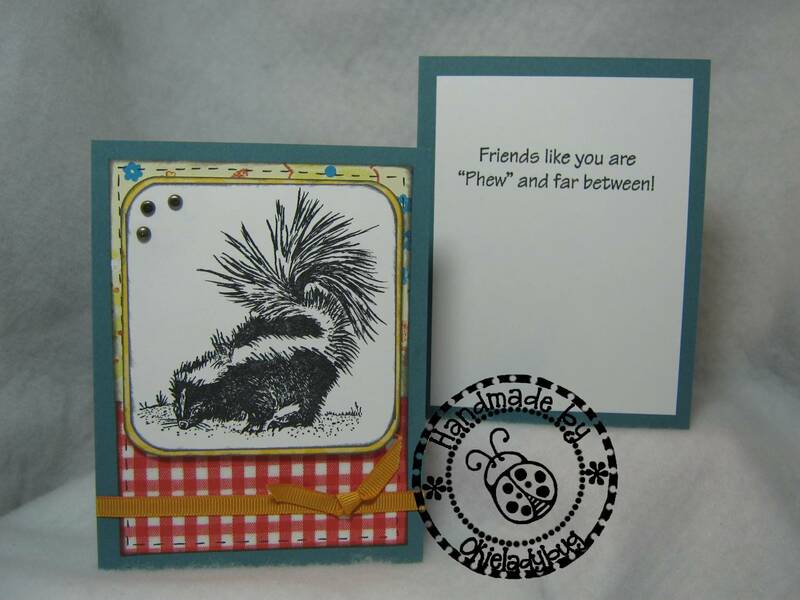 Okieladybug's Scrap N' More: Phew....this card stinks! We usually have stamp club at the library but last week we had to have it at the scrapbook store, which is always dangerous! I think I spent too much time shopping instead of stamping! I only got one card done, well two actually, but they are just alike. This card doesn't stink because of the image or sentiment, it stinks because the image is too big for the card! 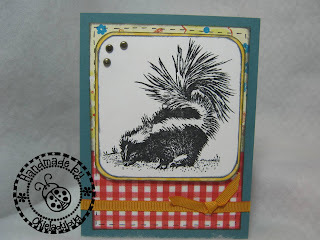 *okie sighs and shakes her head at her terrible card* When I got done browsing the scrapbook store Linda, aka LGuild, had stamped off a bunch of skunks and I thought her cards were cute and thought I would try one. Well her cards turned out a lot cuter than mine did! I do like the image and the sentiment together and I think it might be a card I actually send out to someone. I didn't like all the white space in the top left hand corner so I added 3 brads to kinda help make it not look so stark. Maybe I should have colored a little bit too. But like I said....I was browsing way to much in the store. But to my defense I did have a $10 shopping card to use and that seemed a bit more interesting at the time *okie cracks up laughin*. Later this week I will be posting some cards with some paper I got the night of stamp club. I do like those cards a whole lot better than this one! Now that you have the card finished, I'm not so sure that the skunk image is too big after all. Putting the brads in the corner sure broke up the white space there. One of your big Petaloo flowers would have worked too. I may have to use my Prismacolor pencils and shade in the ground and maybe a shadow behind the skunk when I get ready to use the images I stamped off. Anyway, the card turned out cute! This card is just stinkin' cute! I don't think your image is too big for the card. Love the sentiment, too! 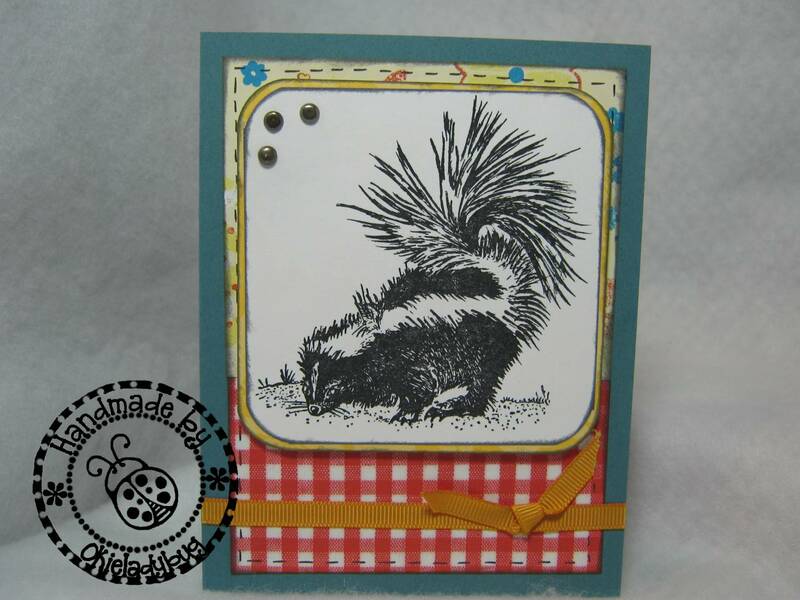 May I use it when I make my lil skunk card from Create a Critter? 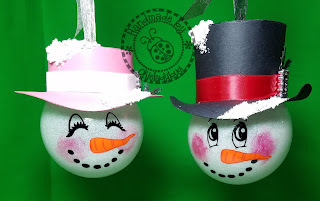 very nicely done Okie, it's just too stinking cute. You are being too hard on yourself. The card is very cute. I love it. 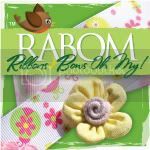 On another note, your enabling means that I just received a big box of ribbon from Ribbons and Bows Oh My. I'm loving it even if I'm wondering if I should have my head examined. Okie I think it is perfect! I love the skunk the size it is and the color (since they ARE black adn white ya know) and those 3 brads are perfect in the corner as a touch to tone down that all white corner. Nicely done once again. 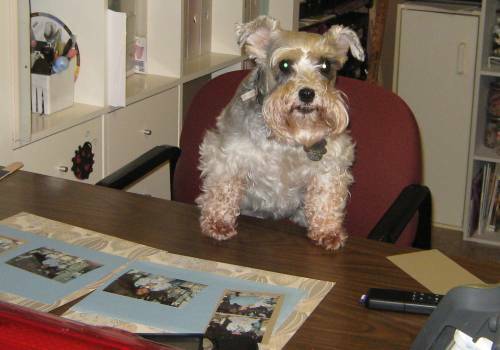 If anything that card is stinkin' cute!!! I love it and I don't see anything at all wrong with it! Cute, cute, cute! I think it is a great card. Just perfect! Don't be so hard on yourself, you card (as always) is adorable. Well. that is cool, however, I no longer shop at W.M. Memorial day weekend they refused to price match a cricut cart because the "had no way of knowing if the other store had that particular cart" I was so mad. I called headquarters and a few days later got a call back with an apology but by that time; I had already ordered the cart online. I love it! Stinking Cute! !